Hey Scott! Thank you for taking time to do this. 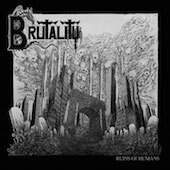 New album is out, reviews are pouring in and I don't know about everybody else but I'm excited as heck about Brutality coming back to life. How does it feel to be back, are you guys content with how things are going, are you back for good? We came back for our fans as long as their happy we are content! As far as being back for good - we don't know just enjoying the now! With all the lineup changes and people leaving the band it seems you had even more drive to finish this album. What does it mean to you personally and to the rest of the band? 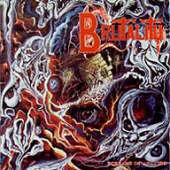 We all had a goal to get this album out when some members left; it postponed its release but also gave us a new drive. Will you follow the release of the album with some touring; are there shows on the agenda, anything scheduled? At this point we have no shows scheduled, we're hoping on some festival interest due to us not being able to do lengthy tours at this time in our lives. 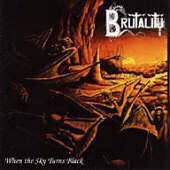 What is the drummer situation right now, is Ruston permanent member of Brutality? Ruston did a great job for us on the album, he lives across the state so we are currently working with a local drummer to perform with us live when the time comes. Can you please tell us more about Ceremonial Records, how did it come to life, what are your plans? Ceremonial was created so we could release our own material without having to sign rights away to a bigger label. We have added a few more bands here from Florida to the roster in the last year to help other talent like Koroidia and Murder Suicide get their names out. 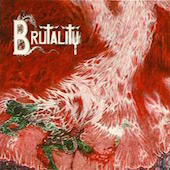 New album is a definite Brutality album but I was wondering about the creation process. Was it easy and natural, did everything go as planned or did you struggle and wanted to give up at some point? Writing with Jeff and Jay is very easy it just seems to flow when we are together. There were some points in all this I personally wondered if it was worth all the hassles we were going through, but I never thought of giving up. Since we are on topic of working together…. Jim Morris wasn't involved this time, yet you pulled through nonetheless, can you let us in on what happened in the studio and people involved? With Morrisound being sold to TSO we had to find another engineer, so we looked to Jarrett Pritchard - a life-long friend - to record the album for us. 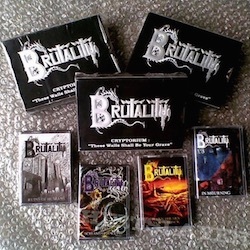 OK, from a different angle now….what got you into metal? What is your favorite dish, can you make it yourself? If there's something that's specifically yours would you care to share? My favorite dish is my girlfriends Mc & Cheese - I can make it but its better when she does it. I prefer to bake and I make a killer chocolate cheese cake. What are you other talents and what is the one you wish you had? I am good with Dogs; I have a primitive connection with them. I can't really think of another talent to have besides my music and my relationship with my girlfriend and my pack of dogs. Thanks for your time, last word? I would like to thank all of our fans for all the support through this new journey - without you guys we are nothing.